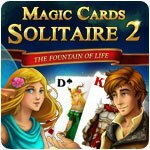 Magic Cards Solitaire 2 Game - Download and Play Free Version! 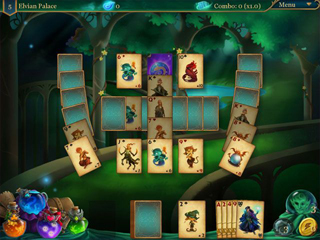 Experience a new, exciting solitaire adventure with the magician Knoxford! Experience a new, exciting solitaire adventure with the magician Knoxford - now in the land of the elves! A life-giving artifact, the 'fountain of life', slowly loses its magic and threatens to extinguish. Undesirable effects on the inhabitants of the land of the Elves would result. Do not waste any time and follow Knoxford on his exciting journey! 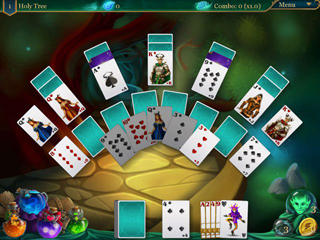 Play through many Solitaire levels with different game variations and challenging levels, earning milestones and bonuses. Lots of different bonuses and tricky puzzles!